Publisher: Privately printed, 1928. 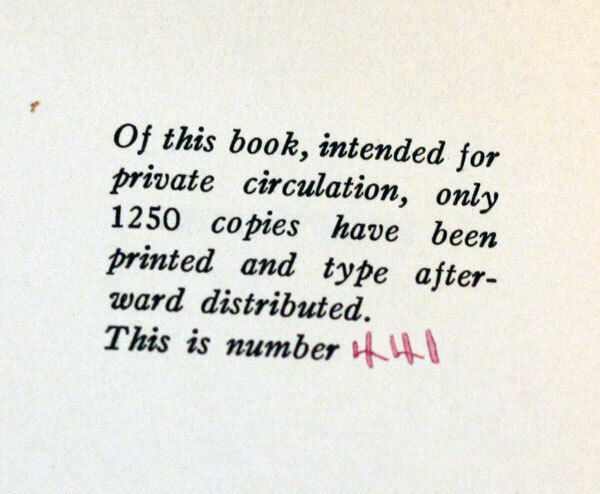 Limited to 1250 copies, of which this is #441. 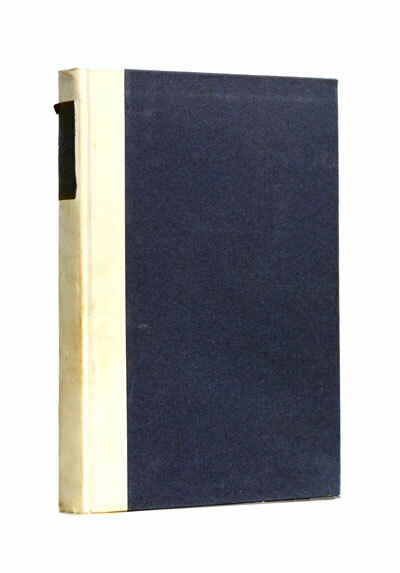 Condition: Hardcover, white hard boards, in good condition. Intact, firmly bound, spotless interior. Title label in cloth is peeling off, some minor rubbing and edgewear. Previous owner, William Paul Sears Jr, has his bookplate on inner front board. 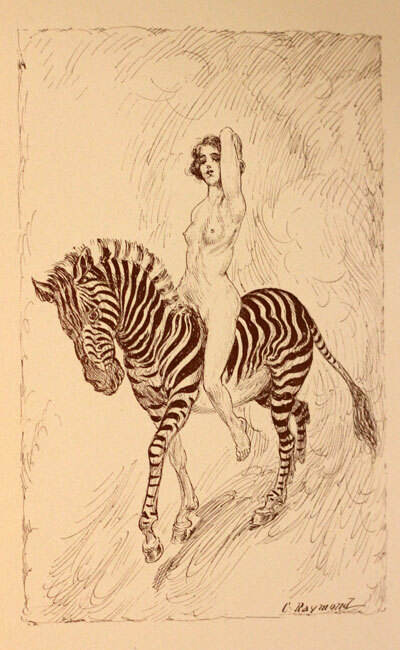 With several illustrations of an adult variety. This book is the origin of the idea and practice of Masochism, named after the writer. A very influential novella by the Austrian author Leopold von Sacher-Masoch, and the best known of his works. The novel was to be part of an epic series that Sacher-Masoch envisioned called Legacy of Cain. 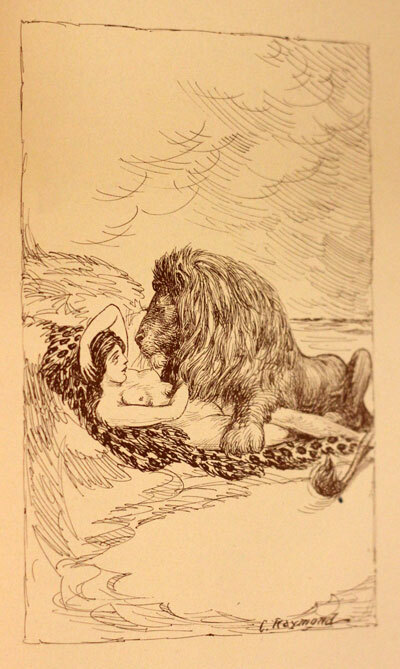 Venus in Furs was part of Love, the first volume of the series. It was published in 1870. The novel draws themes, like female dominance and sadomasochism, and character inspiration heavily from Sacher-Masoch’s own life. Wanda von Dunajew, the novel’s central female character, was modelled after Fanny Pistor, who was an emerging literary writer. The two met when Pistor contacted Sacher-Masoch, under assumed name and fictitious title of Baroness Bogdanoff, for suggestions on improving her writing to make it suitable for publication. The relationship arrives at a crisis when Wanda herself meets a man to whom she would like to submit, a Byronic hero known as Alexis Papadopolis. At the end of the book, Severin, humiliated by Wanda’s new lover, loses the desire to submit. Leopold Rittervon Sacher-Masoch (1836 – 1895) was an Austrian writer and journalist, who gained renown for his romantic stories of Galician life. The term masochism is derived from his name. During his lifetime, Sacher-Masoch was well known as a man of letters, a utopian thinker who espoused socialist and humanist ideals in his fiction and non-fiction. Most of his works remain untranslated into English. In 1869, Sacher-Masoch conceived a grandiose series of short stories under the collective title Legacy of Cain that would represent the author’s aesthetic. The cycle opened with the manifesto The Wanderer that brought out misogynist themes that became peculiar to Masoch’s writings. Of the six planned volumes, only the first two were ever completed. By the middle of the 1880s, Masoch abandoned the Legacy of Cain. 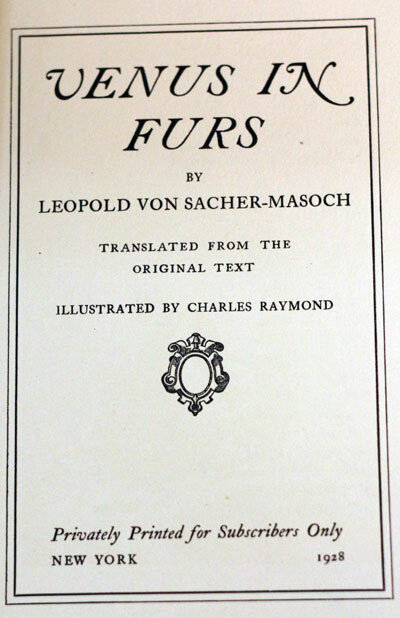 Nevertheless, the published volumes of the series included Masoch’s best-known stories, and of them, Venus in Furs (1869) is the most famous today. 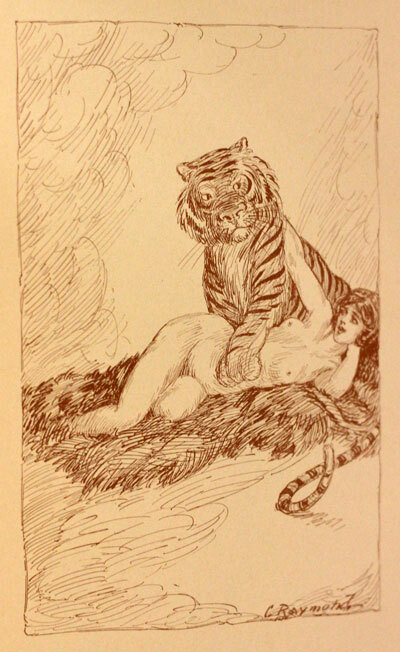 The short novel expressed Sacher-Masoch’s fantasies and fetishes (especially for dominant women wearing fur). He did his best to live out his fantasies with his mistresses and wives. On 9 December 1869, Sacher-Masoch and his mistress Baroness Fanny Pistor signed a contract making him her slave for a period of six months, with the stipulation that the Baroness wear furs as often as possible, especially when she was in a cruel mood. Sacher-Masoch took the alias of “Gregor”, a stereotypical male servant’s name, and assumed a disguise as the servant of the Baroness. The two traveled by train to Italy. As in Venus in Furs, he traveled in the third-class compartment, while she had a seat in first-class, arriving in Venice (Florence, in the novel), where they were not known, and would not arouse suspicion.